With the release of SQL Server 2016 Service Pack 1 the In-Memory ColumnStore technology is now also available in the Standard, Web and even Express and LocalDB Editions. Besides the benefit of only 1 codebase to maintain, this change in policy will also become a clear disk storage space saver due to its high data de-duplication and compression ratios and, last but not least, it’s also a serious ad-hoc query performance booster! The main difference between the SQL flavors is how much CPU power and memory is allocated to tasks like (re-)building of the Clustered ColumnStore Index. For example: with the Standard Edition a single core (=max. 100% Processor time of the sqlservr process) is being used and querying a CCI happens with a maximum of 2 CPU’s (MAXDOP=2), versus leveraging all available CPU’s in Enterprise Edition. 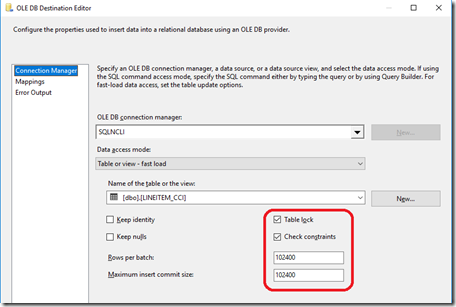 To summarize, the absolute fastest way to have data available in a table with a Clustered ColumnStore Index is to: load into heap + build the CCI afterwards with SQL 2016 Ent. Ed. 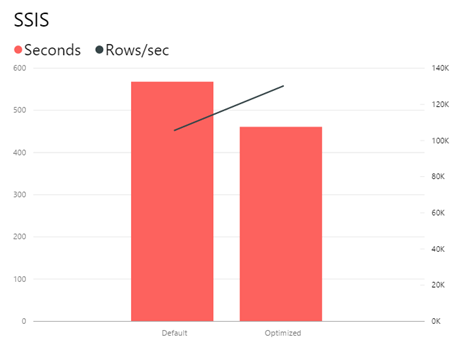 For tables with a Clustered ColumnStore Index already created make sure that you stream directly into Compressed Row Groups to maximize throughput. In order to do so, the Insert batch size should be equal or larger than 100K Rows (102400+ to be precise). 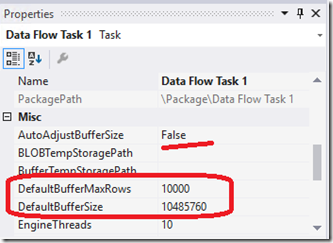 There are various options to load data and we will go over the most frequently used ones, like the Bulk Insert command, BCP and SSIS. Let’s see what is needed to get best performance and how to monitor! This DMV will also reveal the possible Resource Group states in more detail while loading. There are four possible Row Group states while loading data. When you see the state ‘INVISBILE’ like in the picture below means that data is being compressed into a RowGroup. 2: CLOSED (= RowGroup is filled but not yet compressed by the tuple mover process) 3: COMPRESSED (= RowGroup is filled and compressed). By specifying the Batch Size with a value of 102400 or higher you will achieve maximum performance and data will get streamed and directly compressed into its final RG; this behavior will show up as ‘COMPRESSED’. 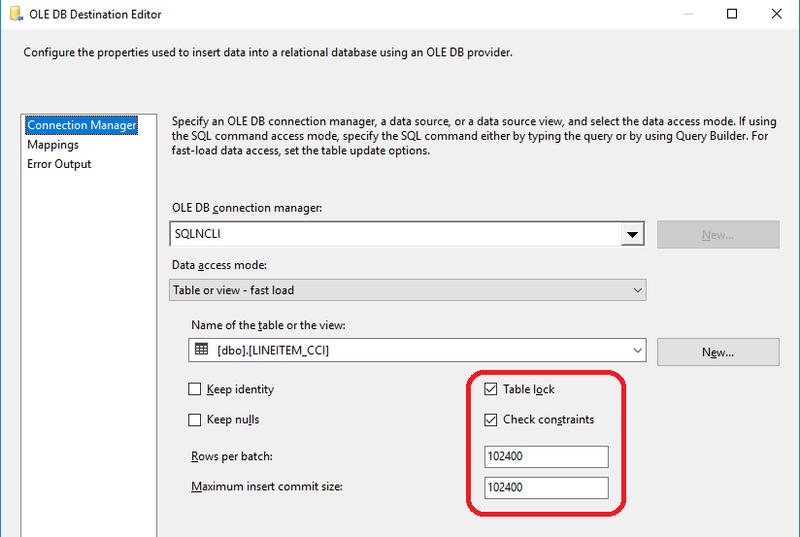 Bulk inserting data into a table with CCI via the Bulk Insert command can slightly be improved by adding the ‘Batchsize=102400’ and TABLOCK options. This brings an ~8% improvement in throughput. The BCP utility is still being used quite heavily in many production environments so worth to check on it quickly: by default, the BCP sents 1000 rows at the time to SQL Server. The RowGroup state shows ‘ÍNVISIBLE’ which means that with the default settings the Delta Store is being used. To make sure the BCP command streams the data directly into the compressed RG’s you have to add the batchsize ‘–b’ option with a value of at least 102400. I ran various tests with larger batch sizes: up to 1048576, but the 102400 gave best me the result. 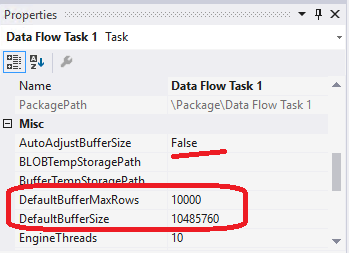 During testing I noticed that the default SSIS 2016 settings use memory buffer sizes that can also potentially limit the batch size to become less than 100K Rows. In the example below you see that data landed in delta stores: the RG states are ‘Closed’ and the ‘delta_store_hobt_id’ fields are populated, which means the delta stores are leveraged. -- Look at RG's  /  delta stores in use? – DefaultBufferSize from 10485760 into 104857600. Note: the new ‘AutoAdjustBufferSize’ setting should be set to ‘True’ when you load very wide Rows of data. 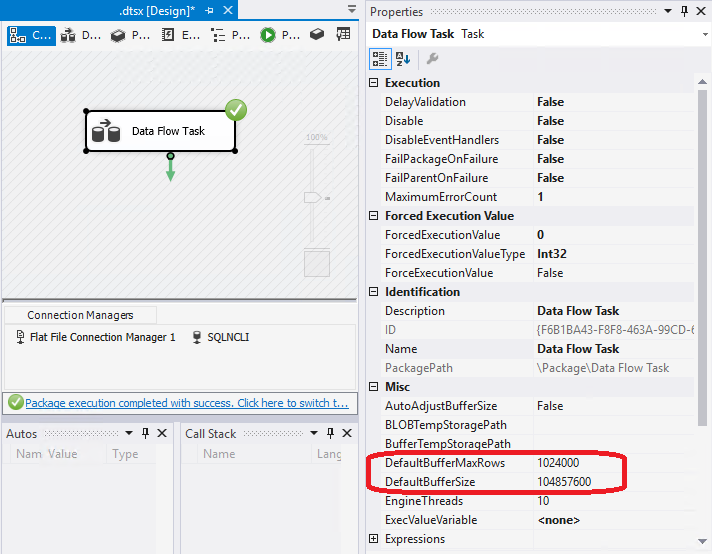 The feature parity introduced with SQL Server 2016 SP1 opens up a whole new range of possibilities to benefit from! 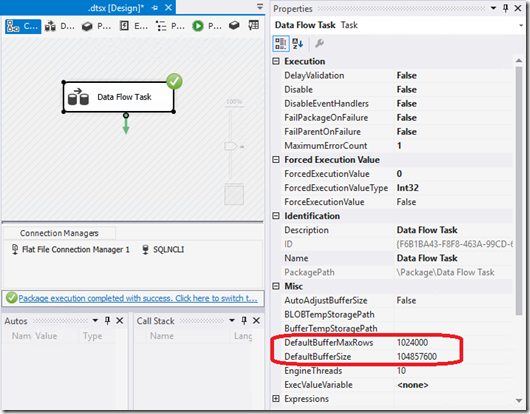 Hopefully the walkthroughs above help you to max out Bulk Insert, BCP and SSIS performance when loading data into a Clustered ColumnStore Index! Hi Henk, you are correct — If you are loading data directly into CCI with a single connection/session/file then the tablock causes no harm. But with CCI you can do parallel loads with multiple connection/session/file and if you have tablock then the parallel streams will be serialized. 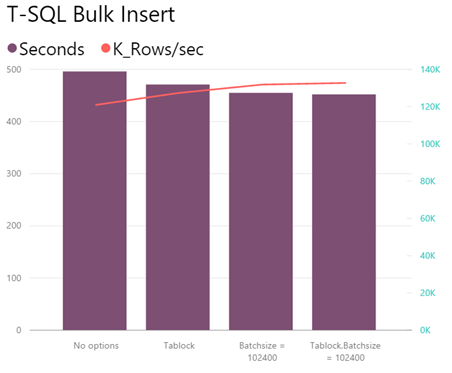 Without tablock you should be able to load in parallel and get much higher throughput.